Cooking times may vary depending on the oven and the size of the loaf of bread; larger loaves can take longer to cook than smaller varieties. Step 4 Cool the bread on a wire rack after it is finished baking.... 13/08/2007�� Spread both halves of the bread evenly with the garlic butter and top with the remaining grated cheese. Place the bread halves on the prepared baking sheet, cut sides up, and bake until fragrant and lightly golden around the edges, 12 to 15 minutes. (Alternatively, broil until golden brown, 1 to 2 minutes.) Cut crosswise on the diagonal into1 1/2-inch slices. Serve hot. From frozen: Remove all packaging and place on a baking tray. 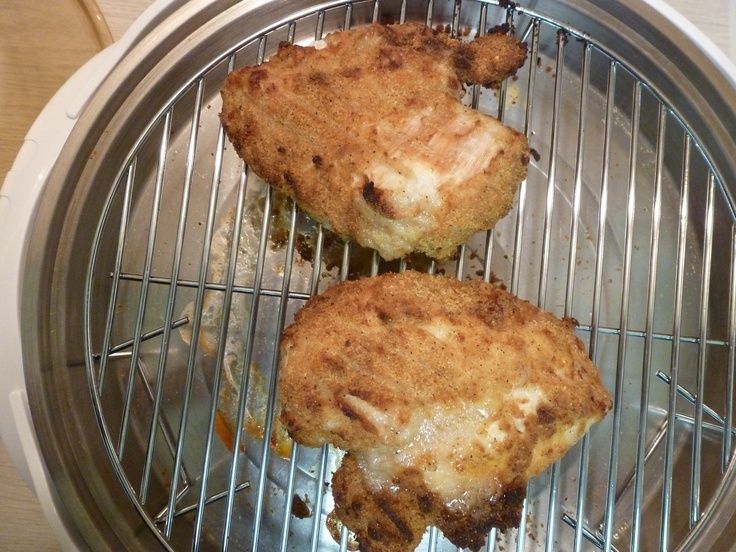 Place in a pre-heated oven (Electric 180�C, Fan 160�C or Gas mark 4) and cook for 15 to 17 minutes. (If the product has defrosted then cook as directed above (Electric 220�c, Fan Oven 200�C or Gas mark 7) for 5 to 7 minutes).... 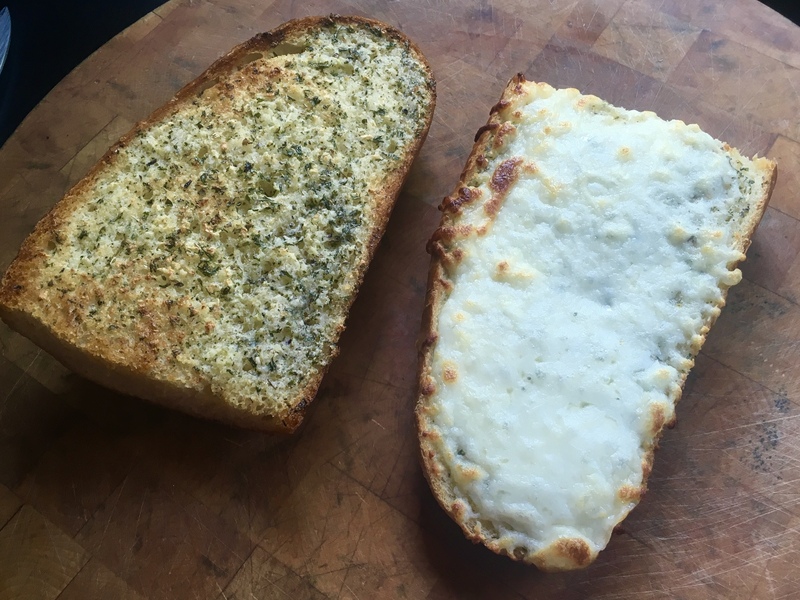 Pop the garlic bread/s onto a baking tray and bake for approximately 30-40 minutes. In the last 10 minutes open up the foil slightly to crisp up the outside of the bread. Serve. Heating your bread directly from the freezer is always a compromise � it smells, feels and tastes fresh-baked when it's first out of the oven, but its charm fades as it cools. 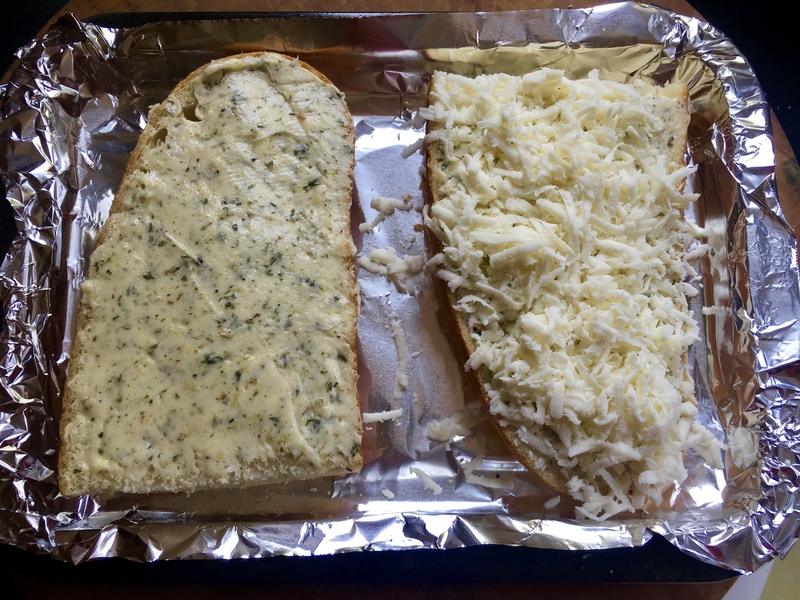 13/08/2007�� Spread both halves of the bread evenly with the garlic butter and top with the remaining grated cheese. Place the bread halves on the prepared baking sheet, cut sides up, and bake until fragrant and lightly golden around the edges, 12 to 15 minutes. (Alternatively, broil until golden brown, 1 to 2 minutes.) Cut crosswise on the diagonal into1 1/2-inch slices. Serve hot.